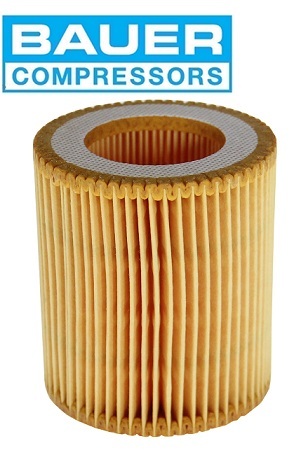 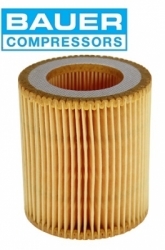 BAUER Compressor N25950 Air Intake Filter Element for Bauer Breathing Air Compressors. 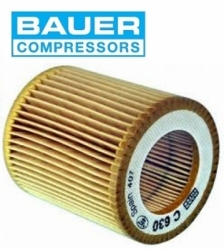 Using only BAUER OEM Compressor Parts assures you that when maintenance or repair is performed, you are restoring the unit to its original specifications and performance. 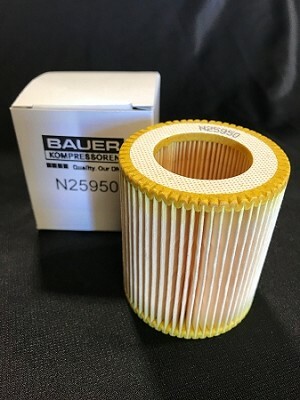 Dimensional Specs: Outer Diameter, Top 2.35"; Outer Diameter, Bottom 2.35", Inner Diameter, Top & Bottom 1.36"; Length/Height 2.75".